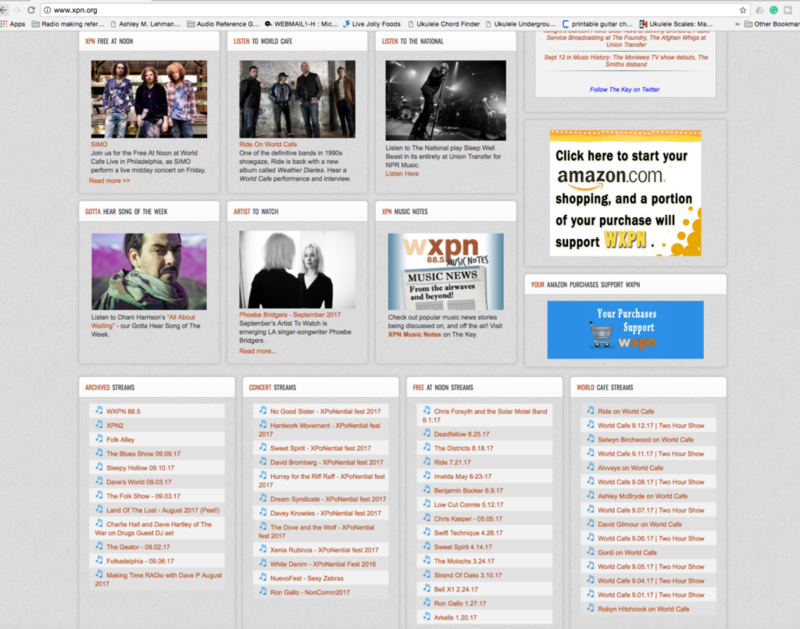 Not terrible, but still a little busy and a bit overwhelming if you’re just looking for the most recent song played. In a similar vein, I’d like to explore a before and after. Being a musician, I’m alway curious about opportunities to get involved in projects with other musicians. 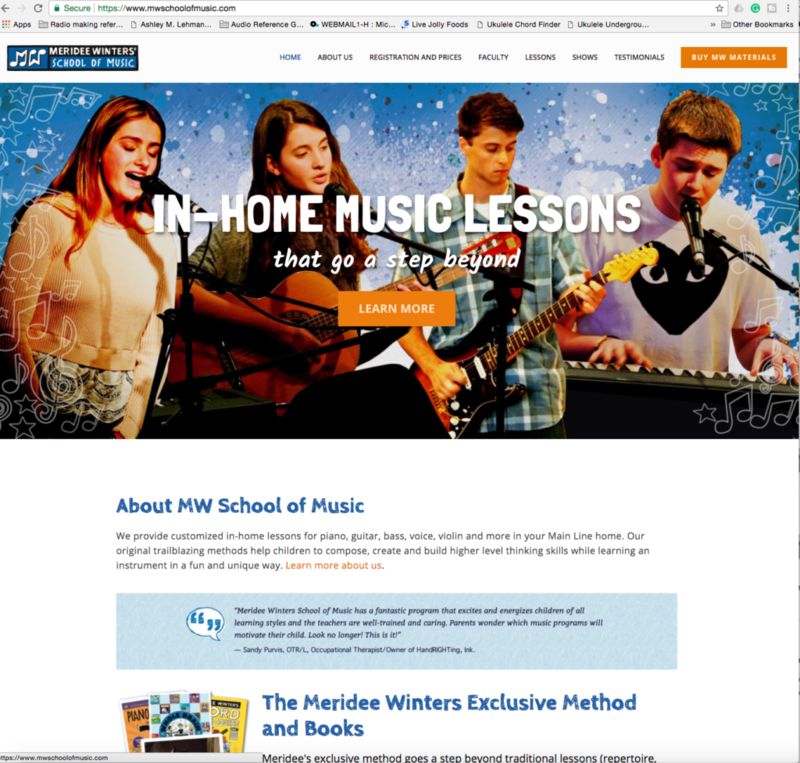 So when I discovered Meridee Winters School of music, I was intrigued, despite the outdated website. I read about the school on the Facebook page and in a job posting, and it seemed like a place that was making a difference in music education in the community, which incredibly important to me. 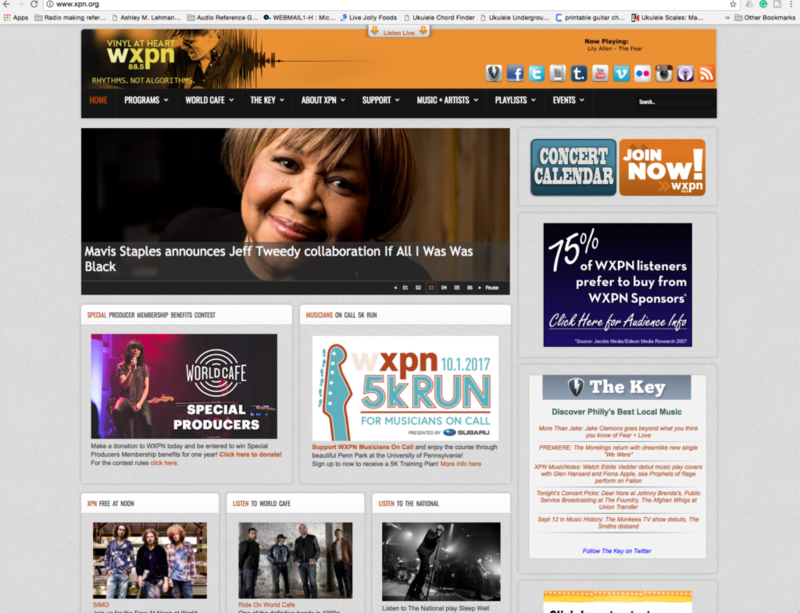 So I thought to myself, why does an institution that seems to have so much going for it still use this website. It is so cluttered with information, pictures, and graphics, how would one know where to begin? The pictures on the top of the page are even part of a rotating slideshow of student and teacher photos. This presentation lessened my confidence in a company of which I’d previously had no knowledge. 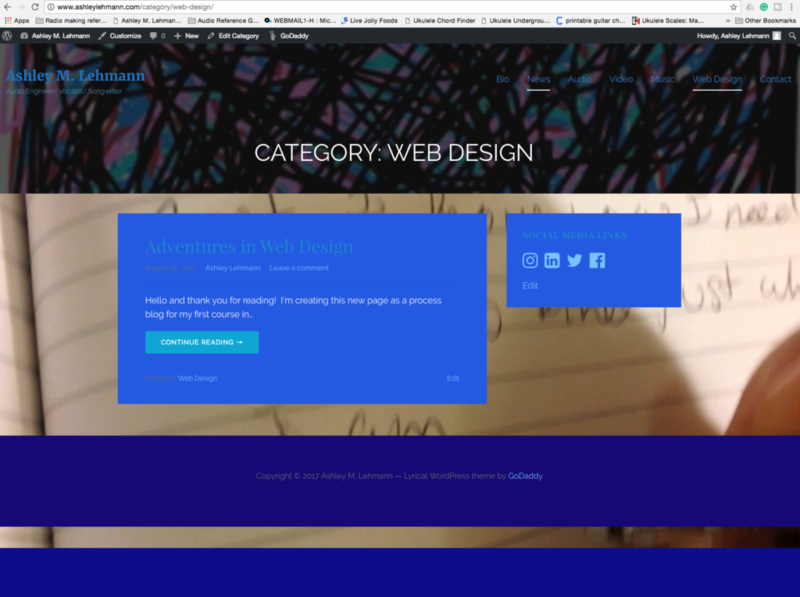 So, I was very pleased to see that they released a new website within the last month or so. It is leaps and bounds ahead of its previous incarnation. 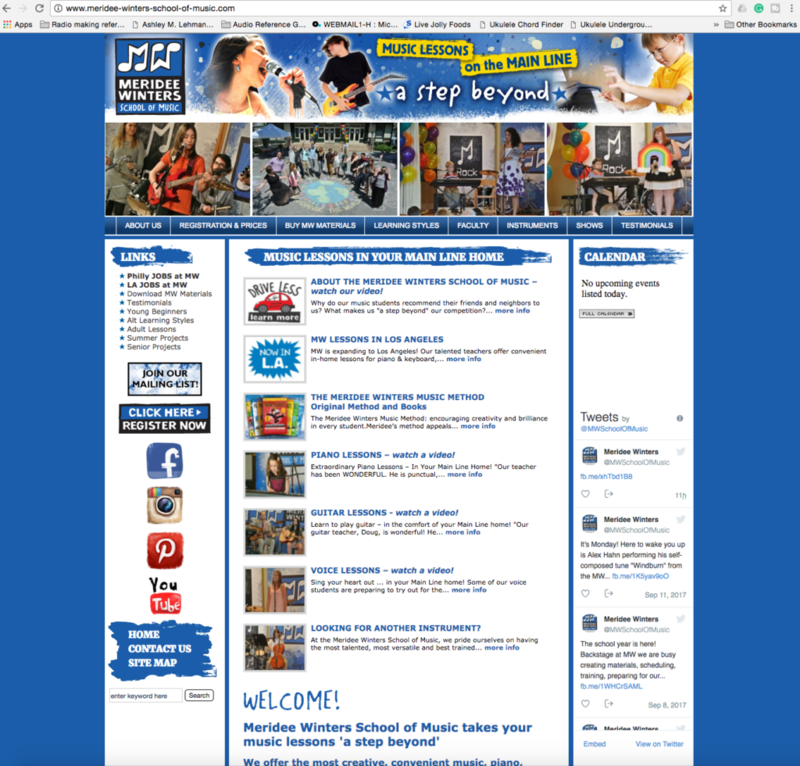 The new site has a clearer overall message as soon as you see it -“In-Home Music Lessons,” so right away you know the main service this company provides. Should you explore the other tabs, a wealth of information waits for you, but it is all neatly organized into categories and doesn’t bombard you with pictures of every student. I think this is a good example of a website relaunch because it captured the carefree spirit of the school while also conveying the necessary information in a visually appealing way. I used the Lovecraft theme, added a few widgets, and changed the accent color. 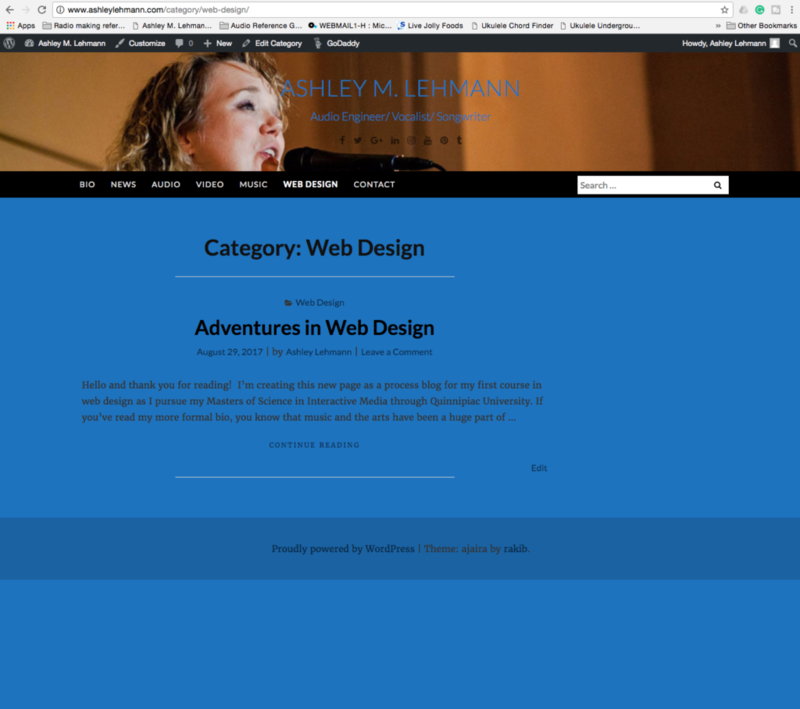 I think it looks clean, professional, and serves the purpose of process blog and portfolio. That theme is called “Ajiara,” and while I liked that it was a bit more customizable, it still wasn’t meeting all of my needs. 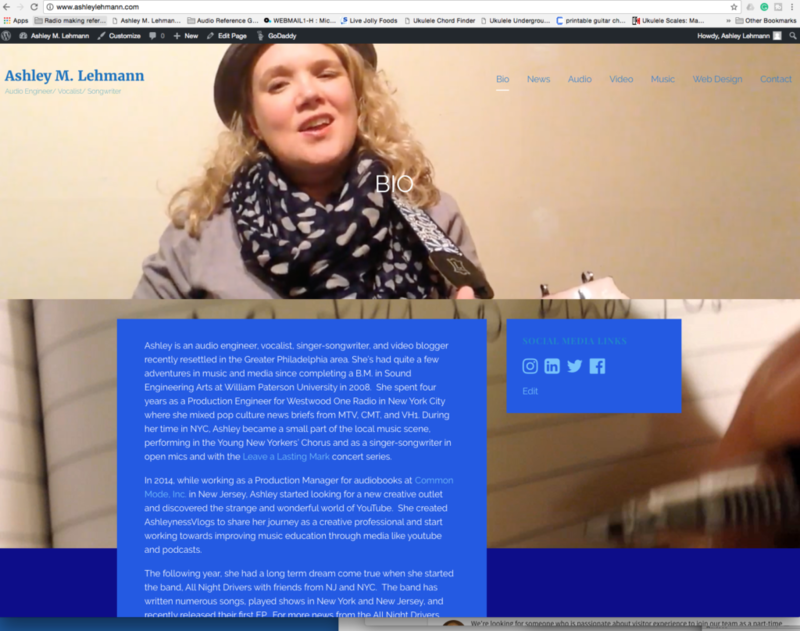 Things I did like about it were that it had an option for a video in the header of the main page and the clear presentation of the menu bar. I’ve been having trouble finding and resizing images to fit the headers for different themes, so that’s frustrating as well. I’m also pretty sure it was this theme in which I was unable to choose truly custom color combinations or change the font colors in a way that would create a pleasing yet readable experience. So I moved on to a third theme. 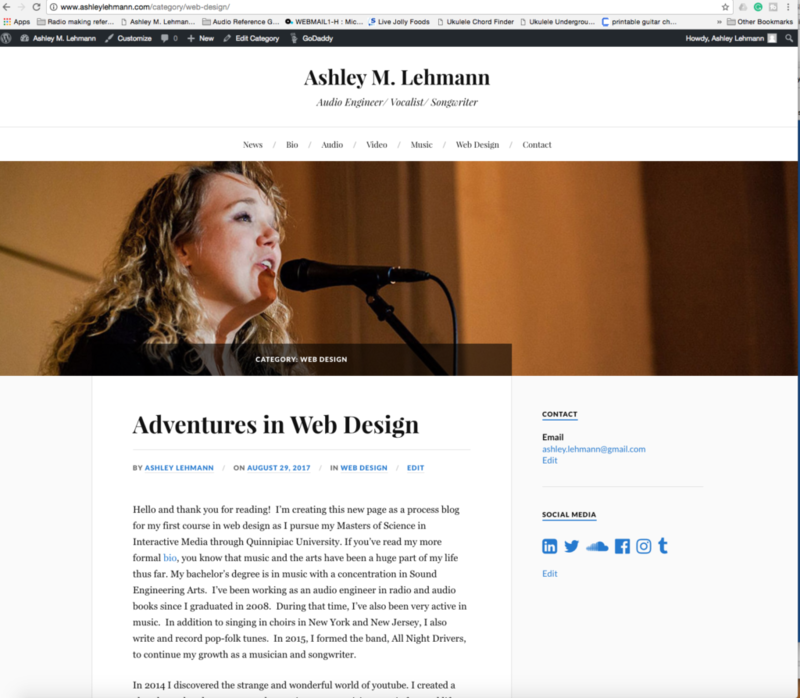 This theme is called “Lyrical,” and it’s a GoDaddy theme. It also has the video option for the homepage, which I think is an advantage for someone like me who has video content to share. It is also much more customizable than the other themes I’d been using. It allows me to experiment with a more colorful and artistic aesthetic, which feels more authentic. However, I think it still needs some work to make it as easy to read and navigate as the original Lovecraft theme was. So, I’ll be continuing to work out the kinks this week and as we progress through the course.